A new version for the most popular Warcraft 3 The Frozen Throne mod has been released. 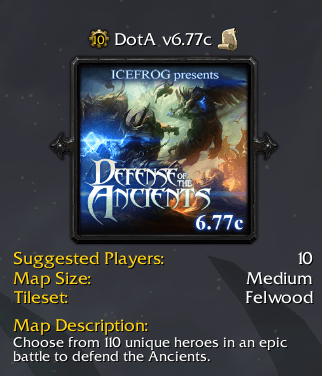 The IceFrog’s DotA v6.77c brings necessary balance changes to in-game characters (heroes). Heroes such as Drow Ranger, KotL have received nerfs to balance the game. Description: Game balancing patch v6.77c of DotA for Warcraft 3 TFT.